Clearwood is a gated community about 12 miles southeast of Yelm. Clear Lake, the largest of the three lakes, is almost completely surrounded by the gated community of Clearwood. There is public boat access and fishing is allowed. Boats are unable to go faster than 5 MPH so no water skiing or wakeboarding. Clearwood does have a small community store at the main entrance along with parks, sport courts, community pool, BBQ pits and community beaches all accessible once inside the neighborhood. These are only available to the residents and their guests. Blue Summit Realty has the most accurate and up to date Clearwood real estate listings on the web. Currently there are 1 homes for sale, and 16 vacant land properties in Clearwood. Of the 17 total Clearwood residential listings for sale 0 are bank owned, 0 are short sales, 0 are new construction, and 0 are townhomes. The price ranges from $189,000 to $0 with a median list price of $189,000 and median sold price of $257,269. Make sure to refine your Clearwood real estate search by property type, price, square footage, bedrooms, bathrooms and more with the search tool above or view the Clearwood listings on our interactive map. 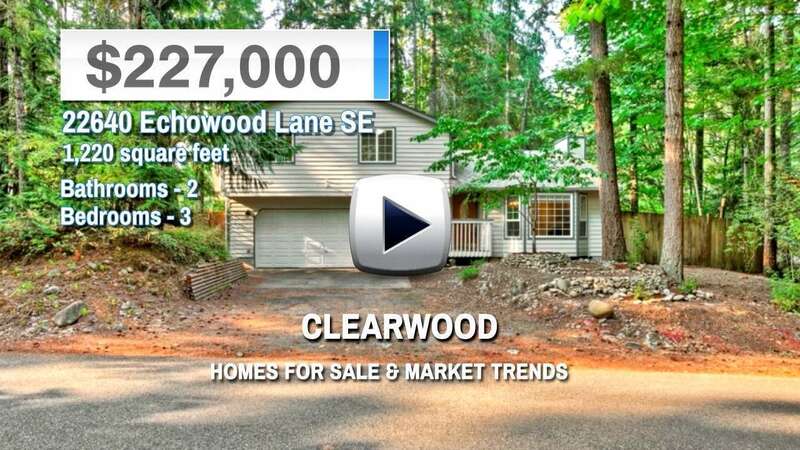 Our Clearwood real estate listings were updated 30 minutes ago.